There is absolutely no doubt in my mind that Sergio Aguero is this week’s safe pick. His record at home against Newcastle speaks for itself. A hatrick last season, FIVE goals in one game the season before – how many will it be this time? An easy pick and an easy captain choice for Gameweek 4. If you have the joint highest number of goals conceded this season and you haven’t even played Manchester City yet, you know there are issues at the back for West Ham. With confidence high from earning a draw against the champions last weekend, Wolves will be thirsty for more success and have the fixture this weekend to do just that. Raul Jimenez spearheads the Wolves attack and has been ever present during their opening three fixtures with a goal on the opening day of the season for the newly promoted side – I can see him potentially adding to his tally on Saturday. If Aguero is going to be scoring goals on Saturday evening, who will be assisting them? Most likely David Silva, who also registered an attacking return in their last home game. The Spaniard has made nine key passes during his first 150 minutes of Premier League football this season. Although not a direct replacement for De Bruyne, the Belgian’s absence increases the reliance on Silva – he will be key to Manchester City for the next few months. If I were to tell you a player registered 11 shots last weekend, setting a new Premier League record in the process – I'm sure you would not have thought Fulham’s Andre Schurrle was the said player. Fulham travel to Brighton this weekend, who have had a positive start with a win against Manchester United. However, they have conceded five goals during their opening three games. "GOALONSO!". What a start to the season he’s had. For a defender to have scored once and have four assists in the first three gameweeks is nothing short of outstanding. It’s become clear that when Chelsea attack down the left, Azpilicueta moves inside for a back three – leaving Alonso to play as a winger or even alongside Morata! He's a must-have in all formats of fantasy football at the moment. He was built up as an essential fantasy football player during pre-season. He followed the hype up with a clean sheet and assist during the opening game of the season, but since then it’s all gone a bit quiet. Southampton have yet to register a win and they have allowed 39 shots at their goal during their opening three games. This makes them vulnerable against Crystal Palace this weekend. Cardiff City still haven’t scored a goal, the only team not to do so in the Premier League this season. It’s not as if they have had the toughest opening fixtures either. In fact they even played against 10 men for the final 30 minutes of their previous two games. Arsenal may not have looked exactly water tight at the back but they are improving and it’s an area the manager will be keen to rectify with Cech looking to make up for his drab start to the season. Only one team have a worse attacking record than Cardiff and that is Huddersfield Town, who have only scored one goal this season (and conceded 9!). 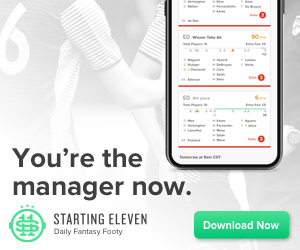 This week, we're joined by Nick from Fantasy Football Analysts (twitter here, website here) to talk about reacting to our first sub-par gameweek, wildcard planning and also have a wider discussion on ownership on its impacts on the strategies of FPL managers. Think you can do better? 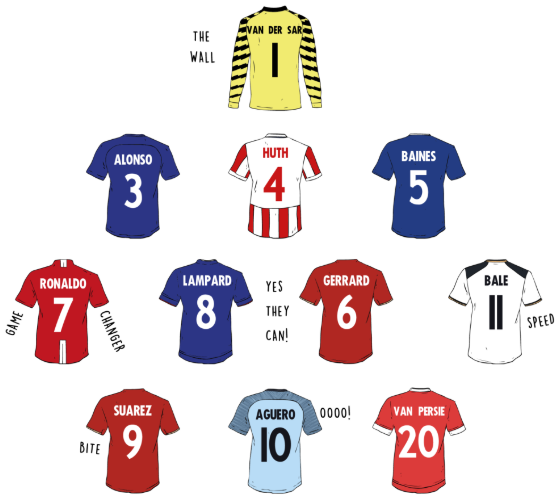 Create your All-Time FPL XI! 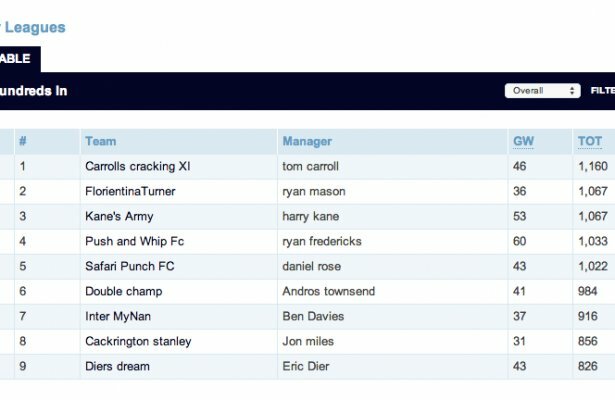 The main talking point in Fantasy Premier League last week happened before a ball was even kicked. With the transfer deadline less than two hours away, a single online article quickly sent the FPL community into meltdown. 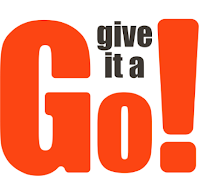 Speculative football articles are not uncommon and are usually taken with a generous pinch of salt - but the fact that it came from a source as respected as The Guardian made those who had earmarked the City striker as their GW2 captain immediately sit up and take notice. A hectic debate among FPL managers on merits or otherwise of the article soon followed, with many concluding (not unreasonably) that the risk of a one-pointer compared to the relative security of a Salah captaincy simply wasn’t worth it. After his devastating performance last weekend against Huddersfield, Aguero has reaffirmed his must-have status for this week. A player brimming with confidence and a manager full of praise, should we almost feel sorry for Wolves this weekend? We had high hopes for Wolves at the start of the season but they are yet to impress in the Premier League. After conceding four goals in their opening two games the last thing you need is a visit from Manchester City and an in-form Aguero. Only a player of Aguero's calibre can boast having eight shots in the box this season already... but so can Danny Ings! An impressive substitute appearance during Gameweek 1, followed by a goal scoring full debut last weekend, Ings has the stats to back up his goal and is certainly worth a punt this weekend. Yes he's a rotation risk, but on Starting 11 you can change your line-up right up to kick-off. Those tricky opening fixtures are out of the way so our attention turns to Arsenal, as their premium assets become more viable. One of the stand out players from their earlier games was Mkhitaryan. A goal as well as an assist is enough to please any fantasy football manager – this week he has a more straight forward task against a bedraggled West Ham team. The Hammers have conceded six goals already this season and don’t seem to have improved on their defensive frailties that we have become used to in recent seasons. 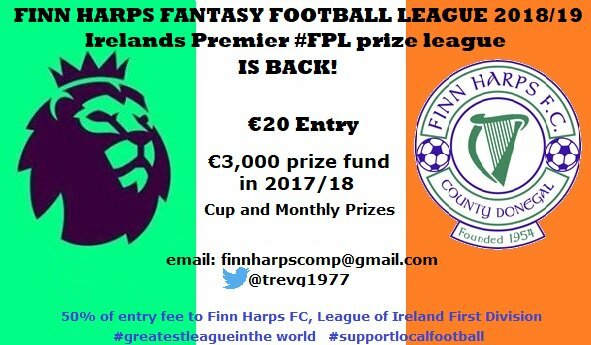 Over on FPL it seems to be "sell, sell, sell" after no returns from the Iceland international, but could a change be around the corner? He could have recorded a number of assists if it wasn’t for poor finishing by his team mates. As fantasy football managers look elsewhere, could he be a diamond in the rough? If you were to look at statistics alone you would be forgiven to assume the Frenchman was in fact an attacking midfielder. Mendy has provided 16 crosses already after only 2 games. 4 assists and a clean sheet are fantastic returns for a defender who is fast becoming a must own player every week – he's straight into my Starting 11 line-up against Wolves this weekend. This pick is based more so on his opponents rather than his team's own form, Fulham are playing well but are yet to earn a clean sheet or in fact a point this season. However, Burnley have their heads turned with European commitments that bogged them down on Thursday night, How tired will those legs be on Sunday? I think this is Fulham’s moment to take advantage. That was assist was no fluke, it’s something that’s been coming since last season as his long range distribution can be an asset as much as his neat footwork playing out from the back. Man City see so much of the ball I don’t expect Wolves to even have many chances, let alone score. Can he save a penalty in three consecutive games? A player we would have all avoided during pre-season as Cardiff were favourites for the drop, but two penalty saves as well as a clean sheet against Newcastle has boosted his credentials. Huddersfield have their heads down after losing 6-1 to Manchester City and this is Cardiff’s opportunity. This week, we look at the ~6.5m "mid size" midfielders whom can really benefit you if you jump on and off them at the right time with the advent of Richarlison and Madison. We then look at Tom's wildcard and the reasons you might consider a wildcard in the future to a certain extent! The list below shows a selection of Premier League players and their respective FPL teams for the 2018/19 season. I've tried limiting the list to players that a seasoned FPL manager would potentially consider during the course of the season, rather than an irrelevant random Premier League squad player. It's worth looking at the psychology of how these real-life players navigate their FPL teams and if they pick players from rival clubs or if they captain themselves, etc. I will add more relevant players to this list as and when I come across them. Last weekend he may not have provided us with the goal that we craved against Arsenal, but this weekend’s opponents are much more appealing. After a 3-0 defeat to Chelsea last weekend it’s a tough start to the season for Huddersfield. Man City will likely make it worse for them, more so than their last head-to-head encounter in the league. Aguero v Huddersfield, that’s one of those mouth-watering match ups you just can’t ignore – straight into your team and a strong shout for the captain’s armband. It took a man of the match performance from Southampton's goalkeeper, McCarthy, to keep Burnley at bay last weekend. But can the Saints' number one do the same against Everton? A strong quartet of Tosun, Walcott, Sigurdsson and Richarlison is exciting, along with Marco Silva’s attacking brand of football – Southampton could be in trouble. Tosun only managed an assist during his first game of the season, however Everton played over half the game with only 10 men – we are yet to see what they can do! An unexpected surprise on Friday evening was Paul Pogba back from his World Cup victory and instantly pulling the strings for Manchester United. With a new found freedom in midfield, Pogba looked dangerous and was on the score sheet when he succeeded from the spot-kick. Brighton were helpless in stopping Watford from taking 19 shots on goal last weekend, losing by a two goal margin – if Manchester United are given the same opportunities how many will they score? The new signing caught my eye against Manchester United on Friday night with an impressive performance as the former Norwich man was heavily involved in Leicester’s better periods – he seems to be on set-pieces too! Withdrawn on 63 minutes for Jamie Vardy, I am interested to see how the pair link up together this weekend against Wolves. Wolves secured a draw last weekend on their return to the Premier League having played over half the game against ten men. Attacking returns and a clean sheet to boot! That’s what we were expecting from Mendy in a Manchester City shirt. He was instrumental in their 2-0 win over Arsenal. He has already become a must-have. Would you even dare to captain a defender against Huddersfield? The Terriers only hit the target once in 90 minutes vs Chelsea so I think Mendy’s clean sheet points will be safe. The differential punt on Ben Mee paid off last week, with a clean sheet for Burnley that many managers on both FPL and Starting 11 missed out on. Burnley are an extra couple of games into their season due to the Europa League qualifiers and at this stage, those extra opportunities for match fitness definitely outweigh any fatigue they may face later in the season. Watford started their season well with a 2-0 win over Brighton and I can see Burnley potentially keeping them at bay this weekend. De Gea was unlucky to lose his clean sheet on Friday after a fortunate rebound off the post for Jamie Vardy gave the England international an easy tap in. Brighton failed to record any shots on target against Watford last weekend. It’s going to be a long season for the Seagulls. Despite their defeat, Newcastle impressed me last weekend and I thought were unlucky not to get an equaliser from the game against Spurs. Cardiff on the other hand, favourites for relegation, lost 2-0 to Bournemouth and only had 1 shot on target. I expect Newcastle to build upon last weekend and possibly taking their first win of the season. Whether you've had a good Gameweek or a bad one, just remember you'll always be #FPL Alright! It's just after Gameweek 1 and we pick over the wreckage of the opening weekend through the lens of optimism, looking at a few picks we and maybe a few of you made and why we should look on the bright side. We also look at a few new joiners to the Premier League since the last pod on deadline day. 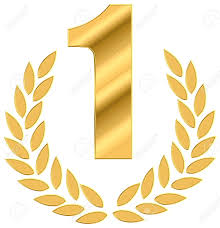 At present, @kleanureeves has beaten almost five million FPL managers and climbed the summit of the overall rankings to be the world number one in the first Gameweek of the season with a staggering 137 points. 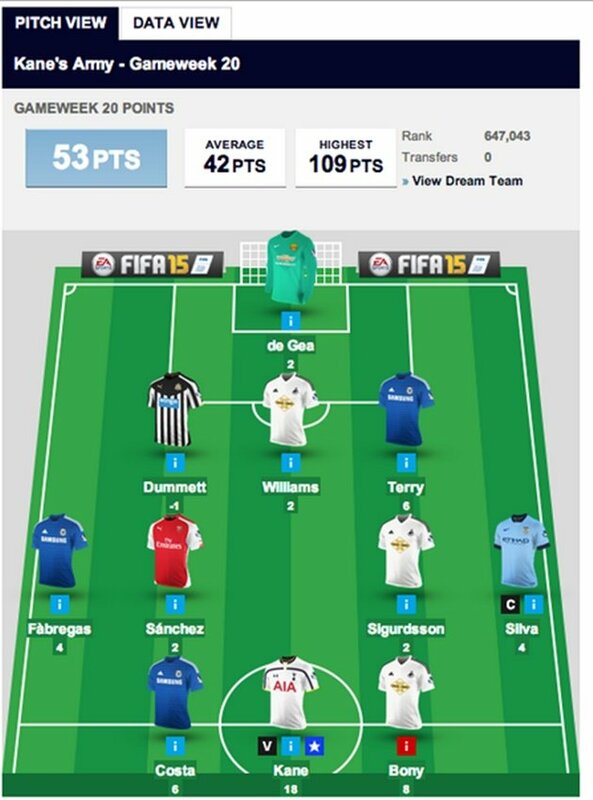 Remarkably his strikers only scored nine of those points (6.5%) which is unheard of and defies FPL logic. I caught up with him shortly after his number one ranking was confirmed for his take on what went right. Chief: How does it feel to be the current World Number One? Alex: It hasn't quite sunk in yet but knowing how many people play the game puts it into context. I beat 4.8 million people and no one will ever be able to take that away from me, fella! Chief: What influenced you the most when picking your squad for Gameweek 1? Alex: I have a big group of friends that play the game and all I wanted to do was to beat them. So I took the best out of all their teams and gave my own spin on it, and it paid dividends. Alex: Bench boost has never been a friend to me. I've always used it in a Double Gameweek towards the end of the season and it's barely got me any points, so I was like why not use it now? I knew 2-3 players were starting so just wanted to get some points on the board! Chief: Your defence scored you a staggering 44 points! Are they going to be mainstays for the remainder of the season? Alex: I think that premium defenders are such an underrated asset in FPL and should be given more attention. In my opinion there aren't many 'top heavy' fantasy options this season, and the sooner FPL managers realise that the better. Chief: What are your initial thoughts for Gameweek 2? 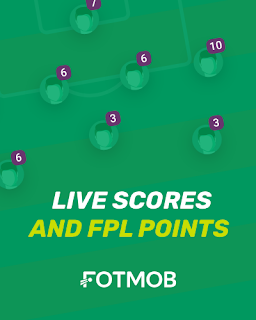 Chief: What one piece of advice would you give to your fellow FPL managers? Alex: Go with your own intuition. At the end of the day it's your team. Have some bottle and pick players who you back; there's nothing worse than a player who you thought would do well scoring high, but you miss out because a fantasy tips account has recommended another player and you went with that choice instead. Chief: Your highest finish to date is 108k, where do you think you can realistically finish this season? Alex: I'm not going to lie when I say it's all downhill from here. But I was top 10k in that season before the last few game weeks when Kane got 7 goals in 2 games and I didn't have him. To finish top 5k would be huge for me, but honestly, I don't think I'm going to ever live this down! Chief: Thank you for your time and all the best for the rest of the season. Follow Alex (@kleanureeves) on Twitter and experience his fantasy football adventure! Of course we have to kick off the season with last season’s Golden Boot winner, Mo Salah. The fact that he is classified as a striker on Starting 11 make no difference to me, he is the first player on my team sheet and I’ll happily captain him this week vs West Ham. Liverpool are the team to put pressure on Manchester City this year and I expect them to start the season with a win, with Salah key to that victory. I don’t hold out much hope for Cardiff this season who are one of the favourites for the drop come May – their first opponents on Saturday are Bournemouth. Callum Wilson was tempting, but with King taking his sides penalties and his impressive goal scoring form during preseason he’s my differential forward for Gameweek 1. Looking for a safe pick in that Manchester City midfield? Pep Guardiola’s comments after the Community Shield strongly suggest that Bernardo will be the first name on his team sheet on Sunday. Bernardo and Aguero looked the sharpest players on the pitch last Sunday, playing centrally and pulling all the strings for Manchester City as they put on another show of attacking football. Jota could be the name on everyone’s lips in a few weeks. Can he produce the same attacking returns in the Premier League that he did in the Championship last season? 17 goals and 6 assists would be an incredible return for a midfielder in the Premier League, largely down to being classed as a midfielder but playing in a more advanced role – we love a good out of position player for fantasy football! Everton have leaked goals during pre-season and I have little faith in their defence when they travel to Wolves on Saturday. Rudiger seems to have nailed down that centre back position under new boss Maurizio Sarri in a partnership with David Luiz. OK, so they didn’t look exactly water tight at times during last Sunday’s Community Shield, but that was Manchester City – Huddersfield won’t offer the same level of attacking football. A big threat from set pieces in the air during preseason, I am expecting us to see some attacking returns from him this season. There has been no talk to Burnley this preseason, seemingly ignored due to their involvement in the Europa League qualifiers – but could this be a good thing? Players who have been playing competitive football already are going to be sharper and focused on their game – they could be very useful assets in the opening weeks before their squad is stretched too thin. Ben Mee was fantastic last season and who’s to say Sean Dyche’s Bus can’t start the season with a clean sheet vs Southampton? Liverpool defence is terrible? It’s a myth! Defensively they were one of the best last season in terms of limiting the number of shots on goal they allowed – unfortunately it tended to take only one defensive error for their goalkeeper to concede. That issue has been resolved with the signing of goalkeeper Alisson – a big reason why I expect Liverpool to challenge Manchester City this season. I think we will see a number of fantasy bosses utilising Liverpool defensive assets this season. It wouldn’t be fantasy football without starting the season with Ben Foster, now at Watford. An opening fixture vs Brighton is tempting. Brighton scored only 34 goals last season, one less than relegated Stoke City. Watford showed a defensive improvement after appointing new manager Javi Gracia, can this continue into the new season? We’re back for our final pod of the preseason joined by FPL Stag, whom we’re also collaborating with on twitter for our Preseason Previews. Here, it’s not the ten commandments but nine unwritten rules of FPL that we debate the merits of, as well as talking in depth about how rotation may become part and parcel of our game. We also talk All England, Zombie League and our teams, too. Enjoy – and all the very best of luck on Gameweek 1! Is Alexis Sánchez past it?